It's a funny thing, how quickly five years can fly by. Today is my blog's 5th anniversary. I went back a couple days ago, to revisit that first post. (The image from the post lost in the shuffle during a blog transfer a few years ago.) I'm not sure how long I thought I'd be blogging back in 2009. But I'm happy to still be around and have all of you join me each week, reading and commenting and sharing tidbits and your projects with me. Thank you so much for spending a bit of your time here with me. Much of the last two weeks has been devoted to designing and pattern writing. I can say there are some new, fun quilts and patterns coming down the pipeline. And while I can't share those just yet, I thought I'd share some fabric and blocks and food. I'm planning to use some Kona Cottons in an upcoming project. I totally copied everyone else who was cutting up their Kona Color Cards and placing them on book rings. So much easier to pull out colors and plan quilts! I also ordered an absolutely beautiful collection of Liberty of London Tana Lawn fabric, cut into a roll, from DuckaDilly. And - total accident but they were sitting next to each other on my table - doesn't the Kona look awesome with the Liberty? I've also spent a bit of time in the kitchen lately. I've recently discovered America's Test Kitchen and have fallen hard. (I know, I'm the last on the planet, right?) I have had success with pretty much everything I've made from both Cooking for Two and The Complete America's Test Kitchen TV Show Cookbook 2001-2014. 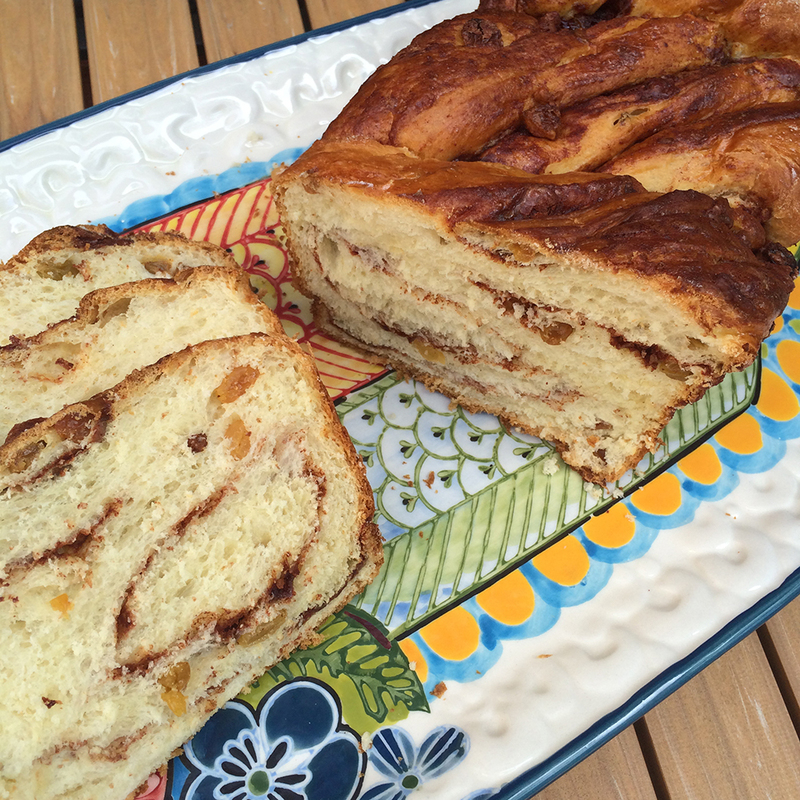 This Cinnamon Swirl Bread is in the latter, as well as online (and I saw them make it in an episode I recorded on PBS). I hope those of you in the United States and Canada have a great holiday week. Yesterday was Canada Day and Friday is Independence Day here (and my husband's birthday!) I plan on doing some relaxing and enjoying time with family. And hopefully fit at least some sewing (or more pattern writing in) too.